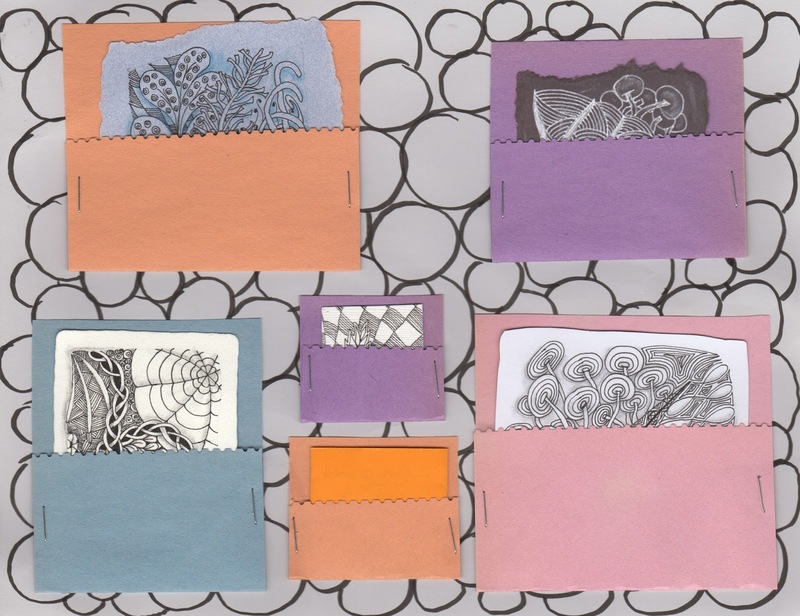 The Postal Ledger: Zima - Katy Kehoe's new kind of inspired mail art! 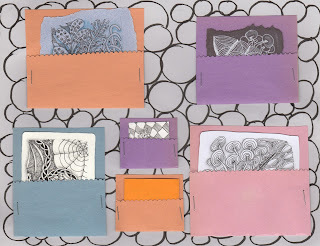 Zima - Katy Kehoe's new kind of inspired mail art! Katy announces her mail art with a flourish of zentangles. 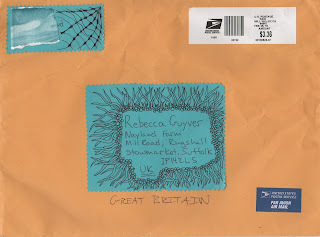 I have covered up her address in case she objects to having it at the Postal Ledger/ on the internet. 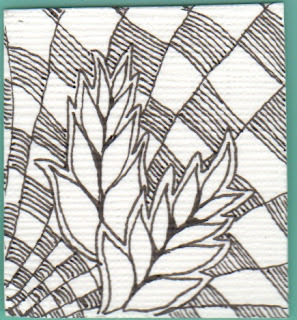 Fittingly, I found a little leftover Figgy silkscreen to cover up the details. Look at her signature! K-K- Katy! 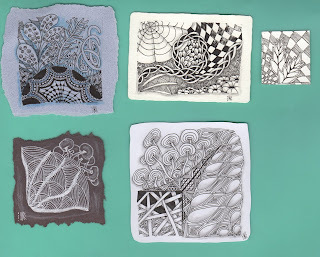 I love the way Katy has made pouches for each zentangle tile. It's like a flatpack book. 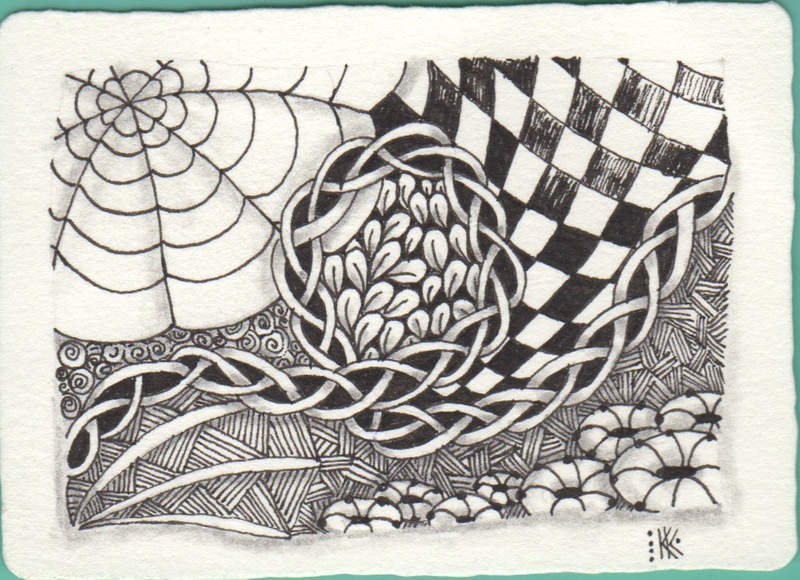 It's nice and safe from my sticky fingers, and so tempting the way the zentangles peek over the top. In case you don't know, Katy is an orange fanatic and the little orange tile is actually an accordion book secret note to me. 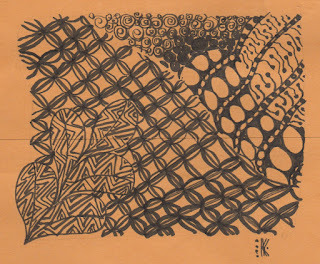 One thing that Katy tells me in her message is that ZIA (zentangle inspired art) is 'a thing'. 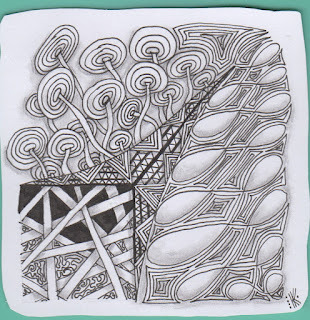 By adding an 'm' (a special letter to us) she has created ZIMA (zentangle inspired mail art)! I need to connect Katy to Suus in Mokkam who does her won version of ZIMA. 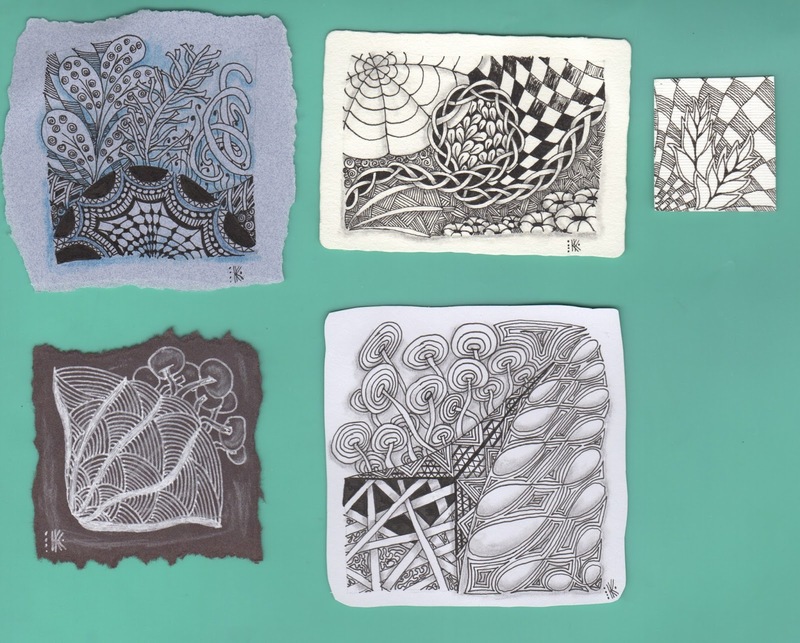 Here are the tiles scanned together. Below I have zoomed in on each tile. 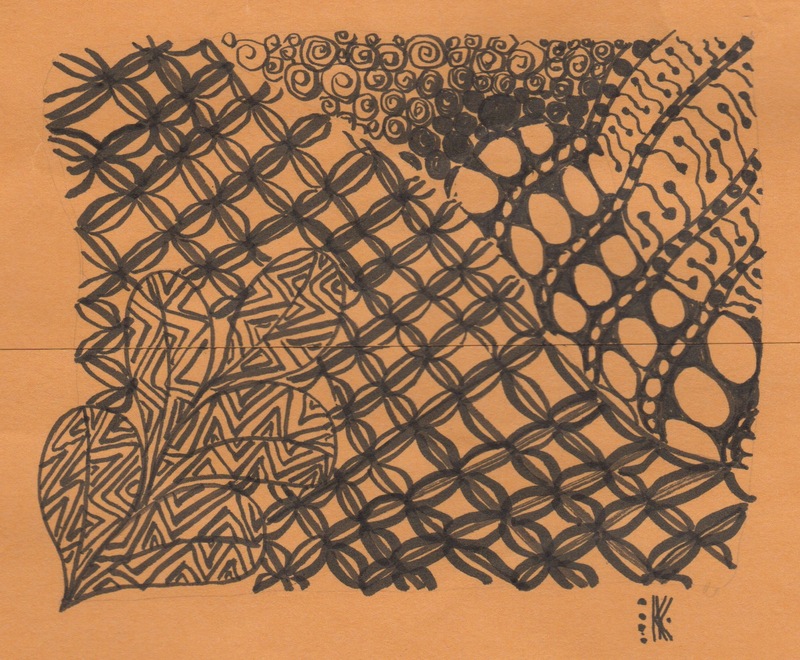 I put some paper behind the zentangles because my scanner is dirty! 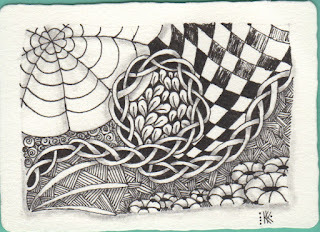 There are lots of things I love about these teeny tiny drawings. 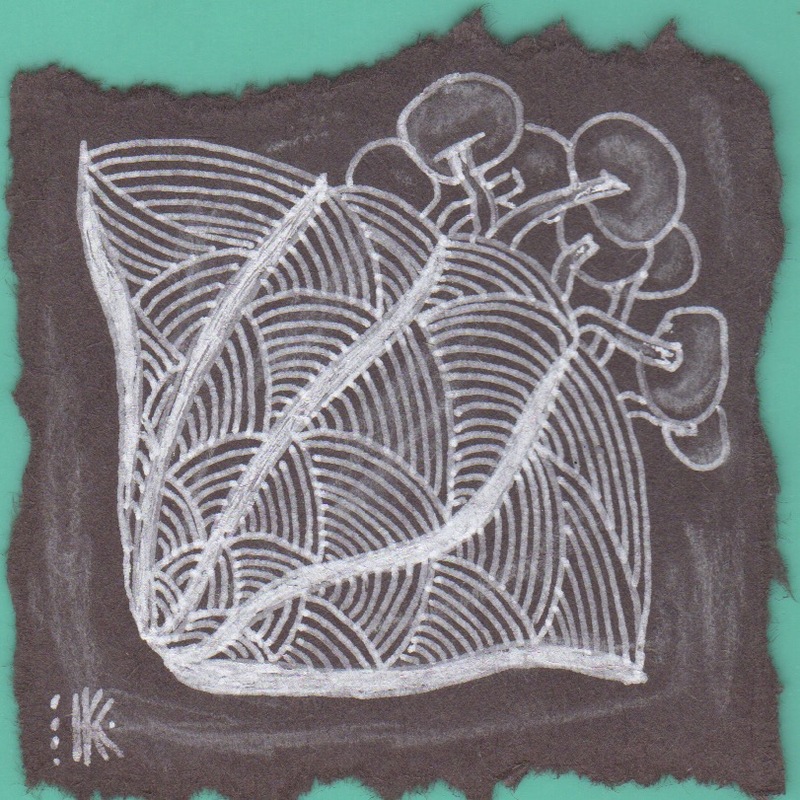 The largest, the rectangle, is ATC size. 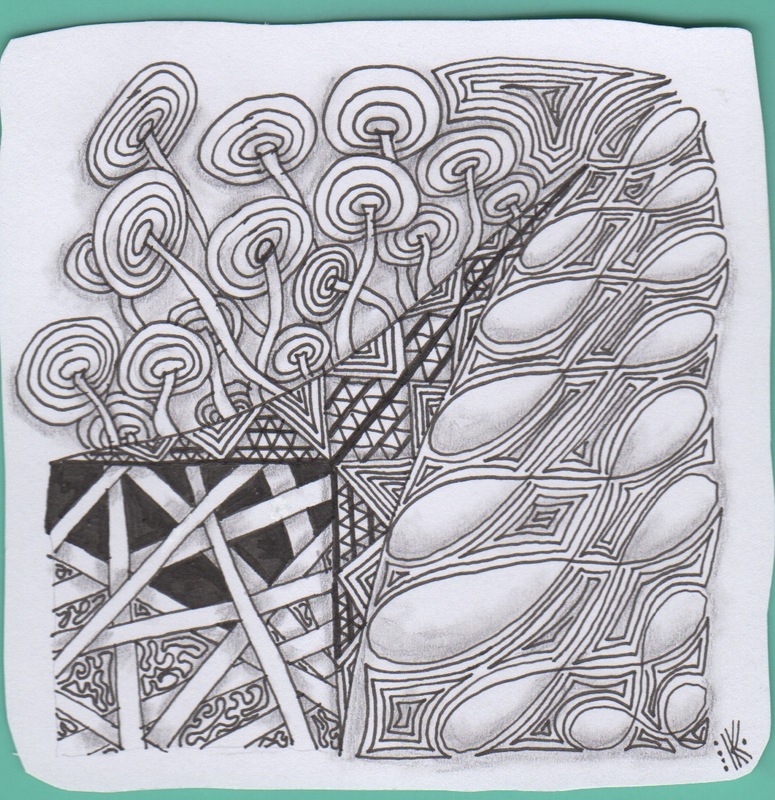 For one, I like the organic shapes of some of them and the way she composes the shape inside them. I love the way the subtle use of watercolour brings some of the imagery into relief. 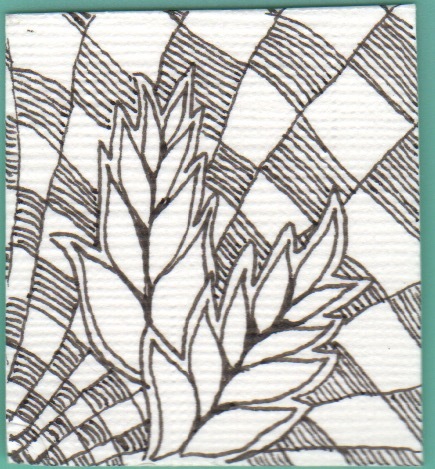 I like the 'mushrooms' and the contrast, and the white lines. 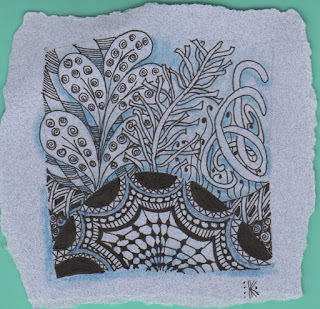 And I LURVE the exotic, flashy feel of the blue tile. It is So me! Oh Katy Kehoe, what a treat you ZIMA was to receive! 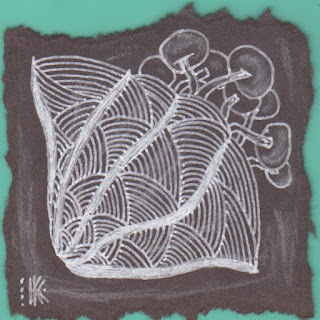 Beautifully drawn and composed-lucky you!